Here’s a couple of projects that I made from Colette Sewing Handbook. I really love this book! I just can’t stop reading it cover to cover. 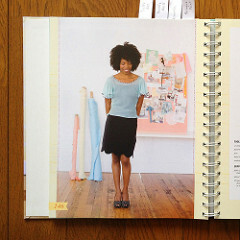 The book has five patterns for size 0-18 in it, but this is not just a pattern book. It covers all the basic knowledge about garment construction with clear explanation and step by step pictures. 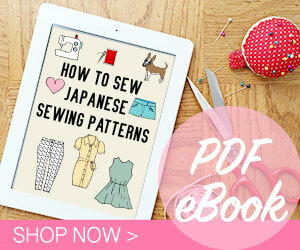 I love that it also covers about good fitting, types of alteration and how to do it. 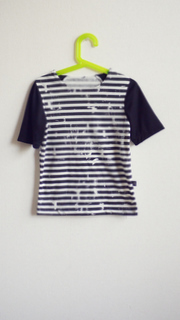 My first Colette pattern is Negroni that I’ve used to make countless shirts for my husband. 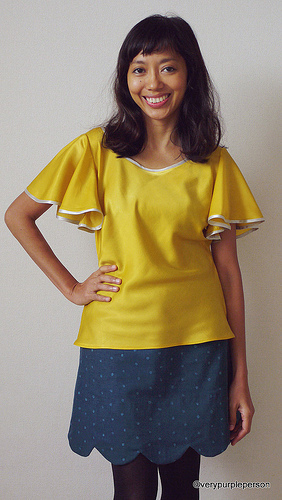 Taffy blouse would be my first Colette women’s pattern, this is quite a simple pattern with only three pieces and no facing. 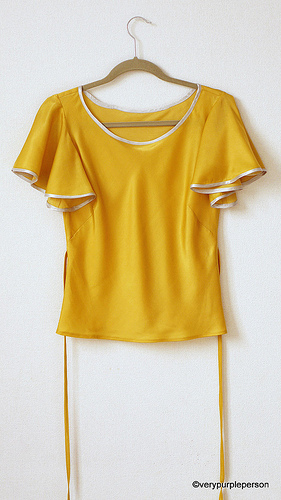 The blouse is cut on bias, that makes it stretchy and doesn’t need opening. The neckline and flutter sleeves are finished with bindings and all the inside are french seamed. The bust on size 0 is still too large for me, so I made small bust adjustment to the pattern. Conveniently, the book also covers how to do this in chapter 4: A Fantastic Fit. After making the adjustment, I tissue-fitted the pattern, my new favorite fitting technique from the book Fit for Real People. 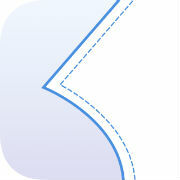 I found out that the shoulder seam needed to be deepened a little bit. I didn’t make alteration for short bodice (that I usually need to do) because it has been shortened by the shoulder seams alteration. As mentioned in my previous post, I used charmeuse for both the blouse and the bindings. My finished bindings ended up a bit wavy, the flimsy fabric wasn’t really easy to sew! I should practice more on my binding sewing technique. Then I made Meringue skirt to wear with the blouse. 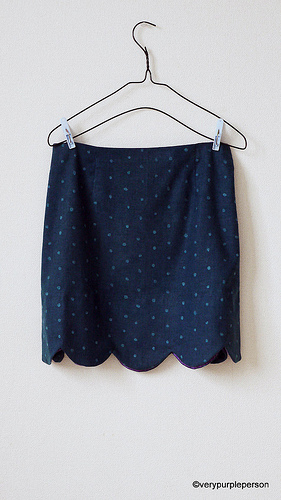 This is a simple darted skirt with scalloped hem, waist facings, and invisible zipper on side seam. After tissue-fitting, I needed a swayback adjustment on the back pattern. 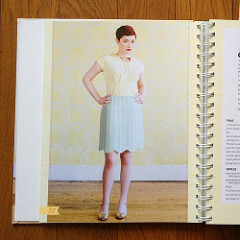 The hem was shortened a lot, making my skirt has more A-shape than the skirt in the book. 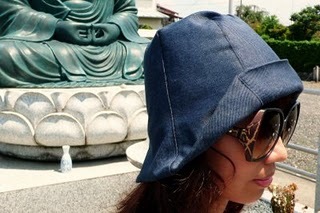 The fabric is brushed cotton twill from Kokka. It is a bit hard to photograph, but the color is actually dark teal with irregular dots. I used purple Indonesian lurik fabric for the hem facing and purple petersham ribbon instead of waist facings. The instructions from Colette Sewing Handbook are really wonderful! I didn’t find any particular trouble making both projects. There was not a moment when I had to stop and think about what to do next. I’m really pleased with the overall result, they look pretty and I had the chance to learn several things while making them. 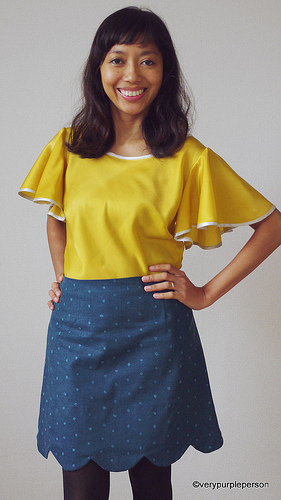 Taffy Blouse and Meringue skirt patterns are from Colette Sewing Handbook, both in size 0.